Democratic Party supporting domestic terror groups, led in part, by Bill Ayers, have a new mission to incite violence at every Trump rally and then CNN and Fox blame the Republican front runner for the violence. 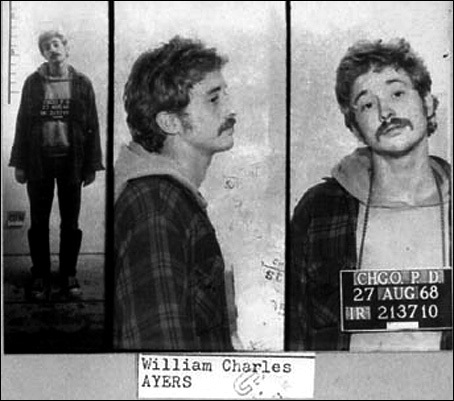 Yes, Bill Ayers is back...well, he has never left. But Ayers is NOTHING without funding. And where do you suspect that funding comes from? Let me repeat however what I just wrote over on my latest blog-post at Torn-Republic, "Let's not forget that it is George Soros, the leftist billionaire bent on and collaborating with Barack Obama's Progressive Left to destroy America that funds Black Lives Matter. If anything needs to be exposed regarding these protests, it is the simple fact that there is nothing grassroots about it. It is still ANOTHER orchestrated campaign to fundamentally change America. It is ANOTHER effort to put Hillary in the White House in 2016, come hell or high water." 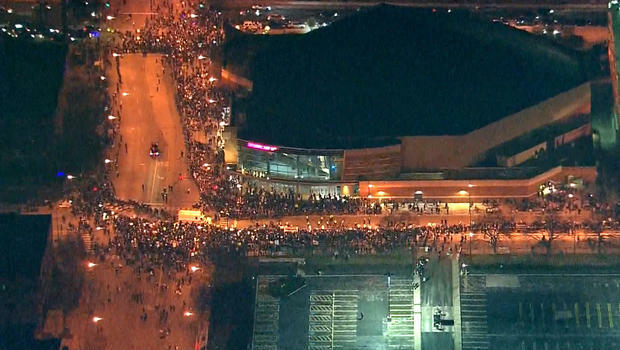 When I was watching live footage of Moveon.org and Black Lives Matter et al, inciting violence at Trump’s planned political rally, on March 11, 2016, in Chicago, I could not believe my eyes. There he was in all of his infamous glory, the domestic terrorist and murder, Bill Ayers, leading the way. Will he ever go away? I thought that I must be mistaken, however, a search of a twitter feed revealed the same observation. 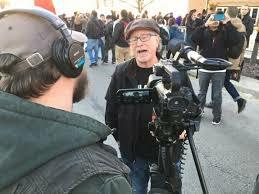 Convicted felon and self-admitted Communist revolutionary, and founder of the Weatherman Underground terrorist group, Bill Ayers, and close friend and former political and financial benefactor to President Obama, was caught on camera at a political event where contrived violence was in use against Donald Trump’s candidacy. During his meteoric rise to the Presidency, Obama made some very important communist connections which ultimately led to him obtaining an impressive college education financed by some very familiar communist activists’, namely, Bill Ayers and Bernardine Dohrn. You remember Bill and Bernardine, don’t you? The Prairie Fire book was co-authored by Dohrn and Ayers, and, quite unbelievably, it was dedicated to Sirhan Sirhan, Robert Kennedy’s assassin. And this “Communist” author, Bill Ayers, an instigator in promoting violence at a major Donald Trump event, dedicated a book to a CONVICTED PRESIDENTIAL CANDIDATE ASSASSIN, IS ORCHESTRATING EVENTS AT A TRUMP RALLY THROUGH THE USE OF VIOLENCE!!! And people wonder why I fear for Trump’s safety. AYERS IS CLEARLY PART OF AN ORCHESTRATED PLOT TO PURPOSELY USE VIOLENCE TO DISCREDIT DONALD TRUMP IN THE EYES OF AN AWAKENING AMERICAN PUBLIC. THE COMMON SENSE SHOW RESPECTFULLY CALLS UPON ALL INDEPENDENT MEDIA JOURNALISTS, AND THEIR READERS AND LISTENERS, TO EXPOSE THIS LATEST “TRICK” TO BRING DOWN A POTENTIAL TRUMP PRESIDENCY AND WHICH WOULD AWAKEN THE PREVIOUSLY SLUMBERING MASSES. PLEASE ALLOW ME TO REMOVE ALL DOUBT AS TO THE VERACITY OF THESE CLAIMS. Will the Real Domestic Terrorist Please Stand Up? Former FBI informant, While appearing on The Common Sense Show, the late Larry Grathwohl, revealed that he testified in a court of law that Ayers and Dohrn had direct involvement in a terrorist plot which killed San Francisco police sergeant, Brian V. McDonnell, by a bomb made and planted by these Weathermen Underground terrorists. Grathwohl also revealed that he asked Ayers, the founder of the radical 1960’s Communist revolutionary group known as the Weatherman Underground, in a meeting of about 25 well-to do Weatherman, most with advanced degrees from Ivy League Universities, what the Weathermen planned to do when they achieved their goal of a communist take over the government. Grathwohl stated that Ayers paused for a moment and then said that it was likely that about 50 million Americans will have to be re-educated in concentration camps located in the American Southwest and that about 25 million would have to be eliminated, meaning that they would have to be murdered. Bill and Bernardine’s Weather Underground had the support of Cuba, East German intelligence and the North Vietnamese. I believe that if Hillary Clinton is able to secure the Presidency, and with the power granted to her by the NDAA, that she will fulfill Ayers’ promise to Grathwohl to murder 25 million Americans who cannot be “re-educated”. During the Vietnam war era, Ayers championed black civil rights and he and Dohrn further chastised white society for their treatment of blacks. Grathwohl also revealed that Ayers wanted to support the beginning of a race war by killing whites from supposed black villains, and then blaming whites in order to begin a race war. How eerily similar does this sound to the Charles Manson Family and their Helter Skelter plans to execute that very objective. (EDITOR’S NOTE: Was this origin of the nefarious ACORN and Black Lives Matter?). While FBI informant Grathwohl was infiltrating the Weathermen, Ayers ordered the FBI infiltrator, Grathwohl, to blow up a Detroit police substation to which Grathwohl said that a nearby restaurant, where many blacks ate would suffer many casualties. Ayers replied that some have to die for a revolution to proceed. So much for being a champion for black civil rights. Ayers and Dohrn raised a son, Chesa Boudin, who worked for the late Hugo Chavez, communist dictator in charge of Venezuela. Chesa Boudin was the child of Kathy Boudin and David Gilbert, members of a Weather Underground spin-off group who went to prison for an armored car robbery that resulted in the murders of two police officers and a security guard. Ayers wife, Bernadine Dohrn served seven months for her role in the robbery and this is the reason that she is ineligible to become bar certified as an attorney. Is anyone else uncomfortable with the fact that Ayers and Dohrn were the ones primarily responsible for educating Obama with the communist funds and then subsequently launched his political career from their living room as they prepared him for his first run at the Illinois State Senate? Allen Hulton, a 39 year veteran of the postal service, provided a sworn affidavit to Maricopa County, AZ. Sheriff investigators, led by Sheriff Joe Arpaio, in an effort toward determining the 2012 Presidential eligibility of Obama with regard to the Arizona primary election ballot and whether or not this former foreign college student, was indeed eligible to run. The Feds usurped the issue away from Arpaio. However, it is apparent that Ayers and Dohrn were in fact the de facto adoptive parents to this foreign student destined to become the first illegitimate President of the United States. As a result, Obama was treated to the finest Ivy League education that communist backed money could buy as Hulton maintains that the Ayers told him that he was financing the education of a promising foreign student at Harvard. Hulton also testified that he met Obama while at the Ayer’s home and he asked Obama what he was going to do with all his education, to which Obama politely answered, “I am going to become the President”. Readers should take note that this is an affidavit, and as such, is formally considered to be evidence, not conjecture or hearsay. Subsequently, there can be no other conclusion that the communist terrorist, Bill Ayers, began grooming Obama to become America’s first communist President during Obama’s college years. Their relationship continues into the present time as it is on record that Ayers visited the White House in August of 2009. And now this Democratic Party sponsored domestic terrorist and convicted felon is inciting violence in Obama’s “hometown” in 2016 in opposition to Donald Trump. As some like to say, this script would not be believable if were written into a Grade B movie. It is incumbent for all of us, who know the truth, to spread this truth far and wide. Do not let terrorists like the Democratic Party sponsored terrorist, Bill Ayers, steal the election. 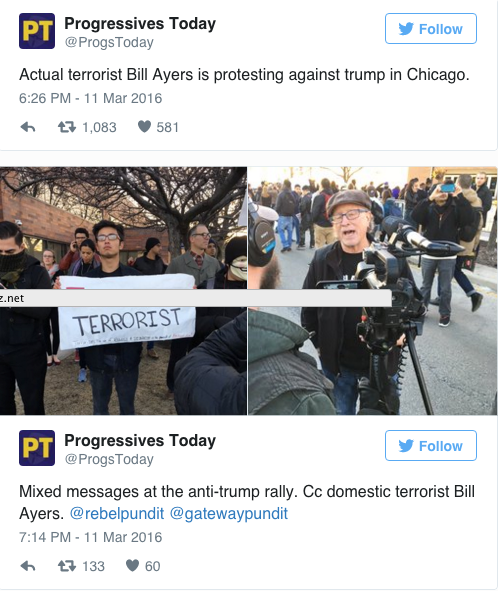 Bill Ayers posing for the establishment media while inciting violence in Chicago at a Trump political rally.